CND Vinylux - Grace / 0.5 oz. - 7 Day Air Dry Nail Polish. 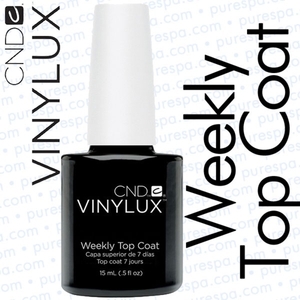 CND VINYLUX Weekly Polish System is a breakthrough that endures a week of fashion perfection… without a base coat. Exposure to natural light secures the patent-pending technology, creating an enduring, long-lasting polish.